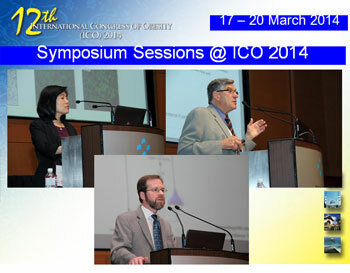 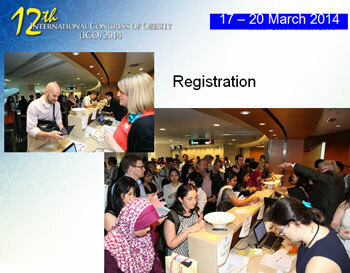 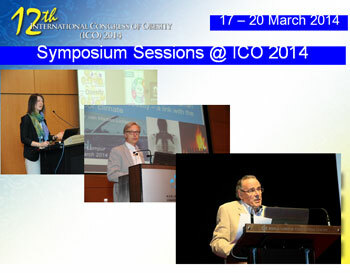 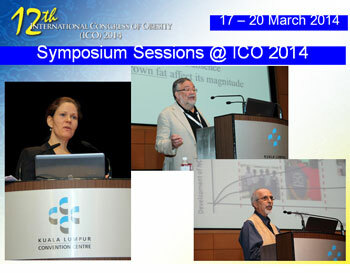 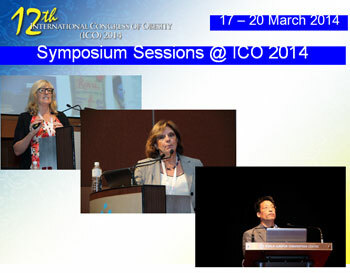 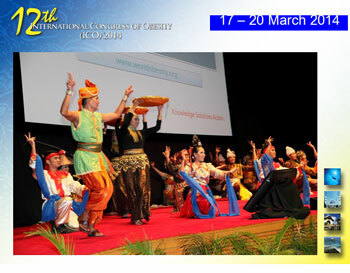 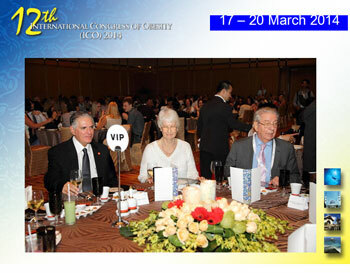 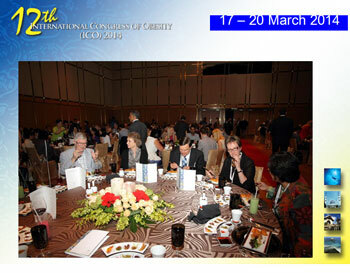 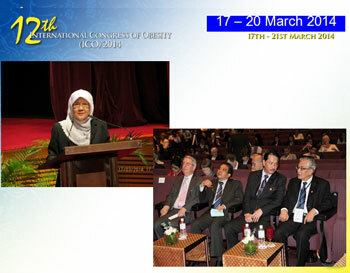 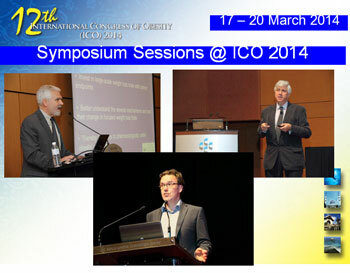 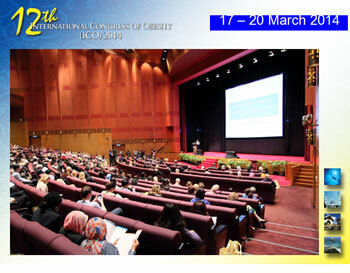 Organised by World Obesity formerly (IASO), MASO hosted the ICO 2014 from 17th to 20th March at the Kuala Lumpur Convention Centre. 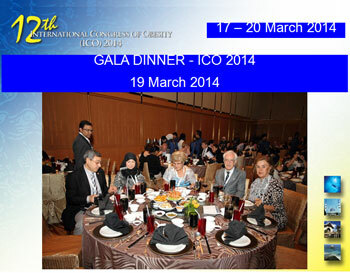 Datuk Seri DrHelmiYahya, Deputy Minister of Health, Malaysia officiated the opening ceremony of ICO 2014 followed by a Reception.About 1000 participants from 64 countries attended the ICO 2014. 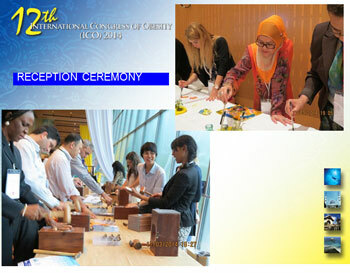 The 8-track Scientific programme provided a thought provoking and exciting experience for the participants. 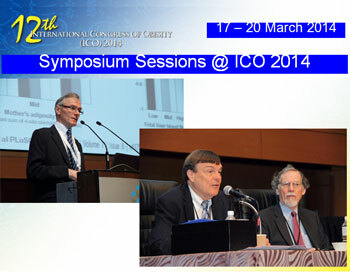 The International Scientific Committee (ISC) was chaired by Prof. Paul Trayhurn, and co-chaired by Prof. Ismail Noor. 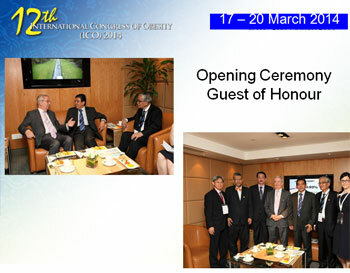 An average of 10 sessions was conducted on each day of the conference, featuring numerous world renowned speakers.The Minister of Health Malaysia, Honorable Datuk Seri Dr. S. Subramaniam graced the event by attending the Congress Dinner and the debate session entitled “"This Conference Believes that Preventing Obesity isthe Responsibility of the Individual and not of Government” by JaneMartin and JohnPrins and chaired by Prof. Ian Caterson from Australia. 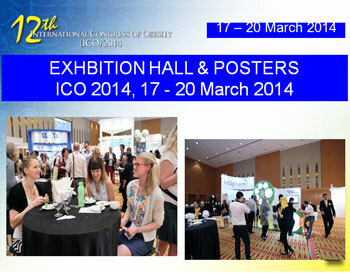 In addition, there were 375 posters presented on the first and second day, and 369 posters presented on the third and fourth day. 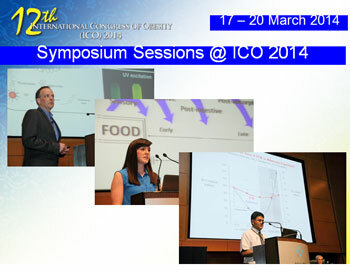 The abstracts were published in the Obesity Reviews, Volume15, Supplement, 2 March 2014 (www.obesityreviews.net). 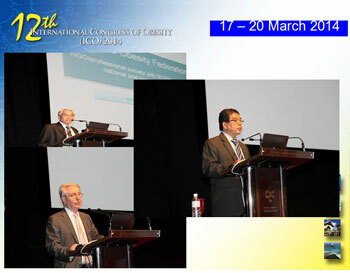 Several researchers were awarded the WO Awards for scientific excellence. 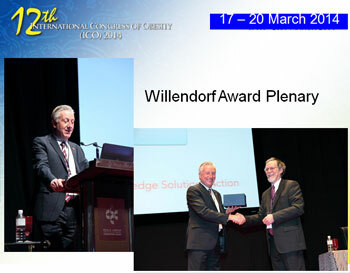 Prof. Arne Astrup, Head of Department of Nutrition, Exercise and Sports from University of Copenhagen, Denmark was awarded with the Willendorf Award (Clinical Research); Prof. Rudolph Leibel, Professor of Diabetes Research and Professor of Paediatrics from Columbia University Medical Center was awarded with the Wertheimer Award (Basic Research); Assoc. 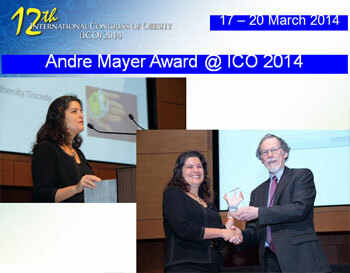 Prof. Dr. Anna Peeters, Head of Obesity and Population Health at the Baker IDI Heart and Diabetes Institute and President of the Australian and New Zealand Obesity Society was awarded with The André Mayer Award and Prof. Steven Blair, Professor of the Arnold School of Public Health at the University of South Carolina, was awarded with The Population Science and Public Health Award. 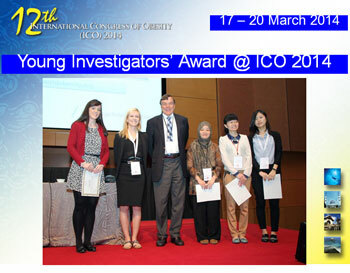 Five candidatesreceived the WO New Investigator Awards; Catherine Gibbons (University of Leeds,UK), SitiWulan (Maastricht University, NL), MengQin (Chinese Academy of Sciences, China), Elizabeth Dunford (The George Institute of Health, USA) and Ha nana, while Grabiela Gutierrez-Salmean(Mexico), Julianna Moraes and Edson De Oliveira (Brazil), NishanKaluphana and RanilJayawardena(Sri Lanka) were awarded with Travelling Fellowships. 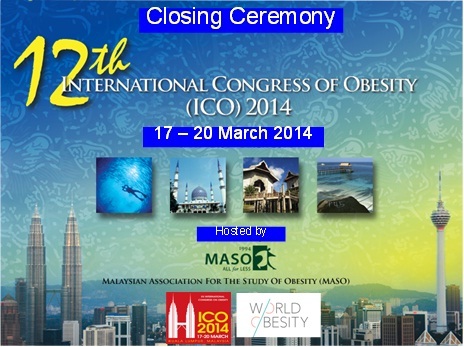 MASO would like to put on record our sincere gratitude to WO for selecting Malaysia as the venue for ICO 2014, the WO Secretariat and the LOC for organizing the event. 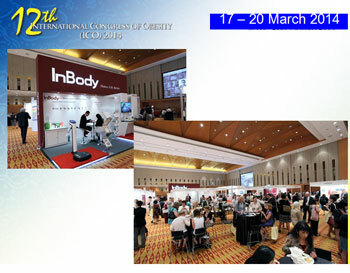 A special thanks to Prof Paul Trayhurn and the ISCfor the state-of art scientific programmeand to all the invited speakers.We are indebted to all the major sponsors namely Novo Nordisk AS, Cambridge Weight plan, Danone, Beneo and other sponsors and Exhibitors for their contributions. 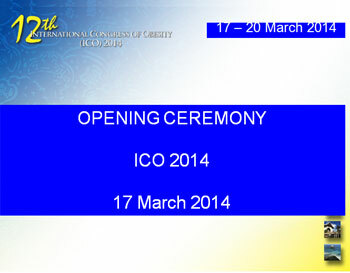 MASO is grateful to the Malaysian Convention and Exhibition Bureau for the financial support to help us promote ICO 2014. 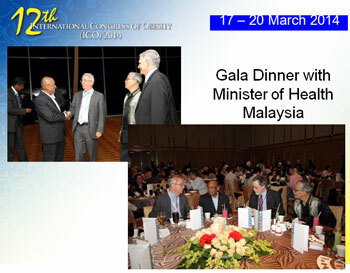 MASO would like to thank the Ministry of Health Malaysia for their support, YB Dato’ Seri Dr Hilmi, Deputy Minister of Health for gracing the Opening Ceremony and Dato’ Seri Dr Subramaniam, Minister of Health Malaysia, for attending the “debate session” and gracing the ICO 2014 Gala Dinner. 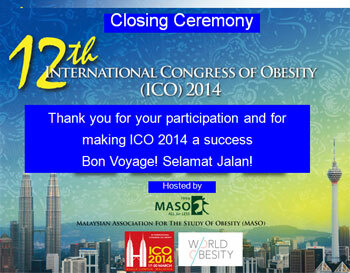 Last but not least to all the participants of ICO 2014 for making it a successful and memorable event.